NEW BRITAIN - City police, as part of an effort involving police and agencies throughout the state, arrested eight city residents wanted for failing to appear in court or for probation violations. Wednesday’s effort spanned the state, with more than 70 agencies, including New Britain, Plainville, Newington and Berlin police, parole and probation officials, working to serve arrest warrants, state officials said. Wardwell said 17 warrants were served to eight people in New Britain. 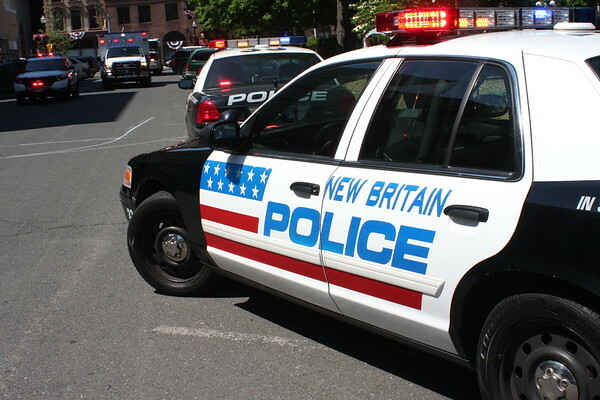 One New Britain woman was served with six warrants charging her with failure to appear in connection with five cases. Five other residents were served with six warrants charging them with violation of probation. A New Britain man was served with a warrant on charges of criminal mischief and breach of peace. Statewide, 285 warrants were served to 197 people, with teams of officers starting in the pre-dawn hours, according to state police. “Operation Praying Mantis” brought together law enforcement agencies that used updated information provided by state police to find each of the targets, according to a press release sent out by the office of Commissioner Dora Shapiro of the state Department of Emergency Services and Public Protection. A team of four Newington detectives working as part of the operation arrested one person, Newington Police Chief Stephen Clark said. Another person with an outstanding warrant was contacted and turned themselves in, he said. Plainville police arrested two people. The arrests included Waterbury resident Thomas Murkon Jr., who had a warrant charging him with fifth-degree larceny and conspiracy to commit sixth-degree larceny, and Florence Mack, of Bristol, who was charged with second-degree failure to appear. Berlin police served 10 warrants to five people. Some of the warrants were for failure to appear in court on charges such as reckless driving, engaging police in pursuit, operating under the influence and drug possession with intent to sell, police said. One warrant charged a Kensington man with three counts of violation of a protective order. Another charged a New Britain man with operating under the influence and traveling too fast. Bristol police said they chose not to participate in the warrant sweep this time around. “We have a robust system in place and each officer is responsible for serving their own warrants and documenting their attempts,” said Bristol Capt. Edward Spyros. Spyros also said staffing levels in summer, with many officers taking vacations, would have made participation in the sweep troublesome. Arraignments began Wednesday in New Britain Superior Court and continued Thursday, court staff said. Staff writer Justin Muszynski contributed to this story. Posted in New Britain Herald, New Britain, Berlin, Newington, Plainville on Thursday, 19 July 2018 21:09. Updated: Thursday, 19 July 2018 21:12.